Experimenting with an Alps GNAP! 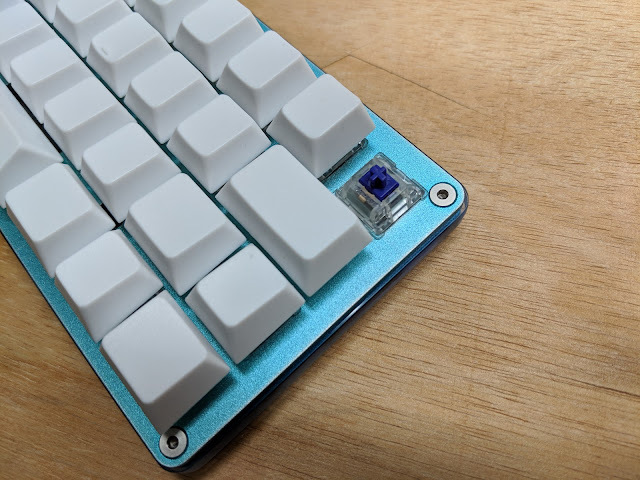 Made a top plate and PCB for Alps style switches. The plate matches the plate for the regular GNAP! Alps uses a 1-1.2mm thick mounting plate. 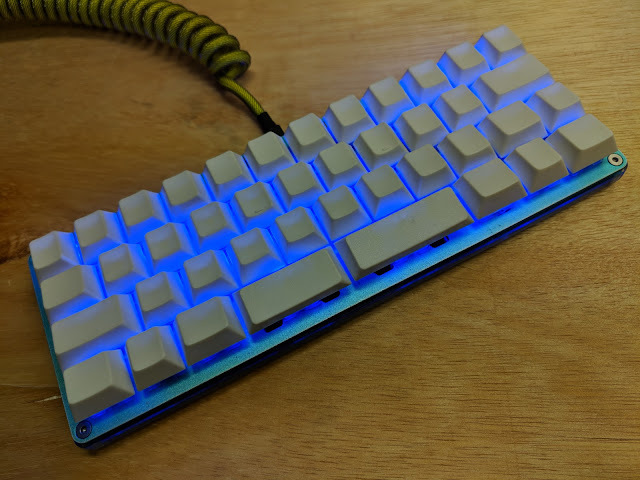 I made the PCB out of 1.2mm FR4 material. The switches fit well and are secure. Unfortunately the 1.2mm flexes a lot more than the usual 1.6mm FR4 material. On the Rainbow Cat Vomit I also used 1.2mm FR4, but had many more supports in the middle. I may try using 1.6mm and see how that works. The switches just won't lock into place, but the PCB should hold them down. The other problem is the 2u stabilizer. There are many different styles. 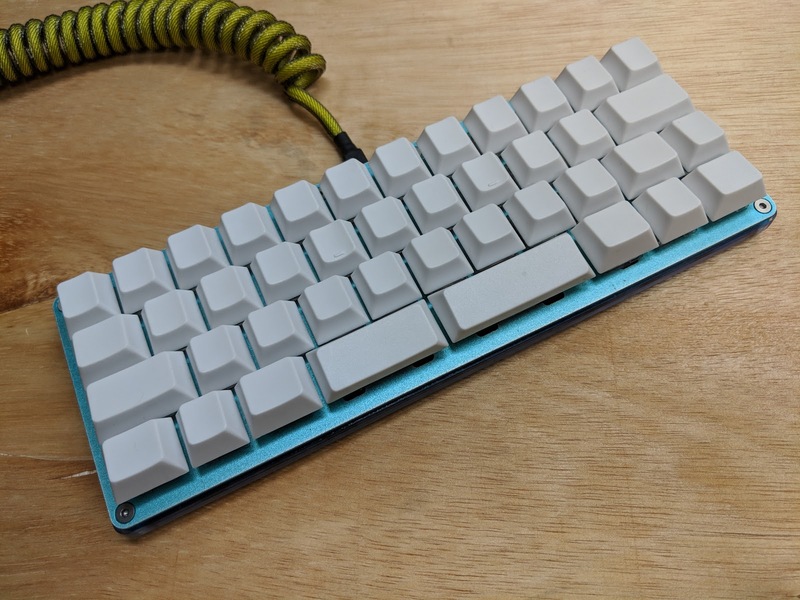 I will probably use the MX compatible one since the Signature Plastics Alps 2u keycaps use those. These are the steps to flash a Maple Mini with TMK for the 5x5x9 board. 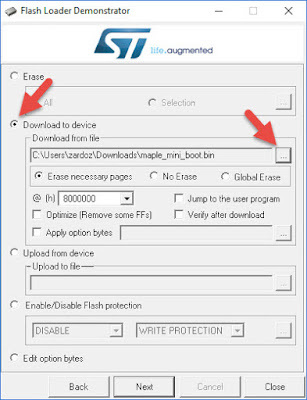 First you will need the original Maple Mini bootloader. This file is in BIN binary format. You will also need the compiled HEX file from TMK. A walkthough for compiling TMK with ChibiOS is here. 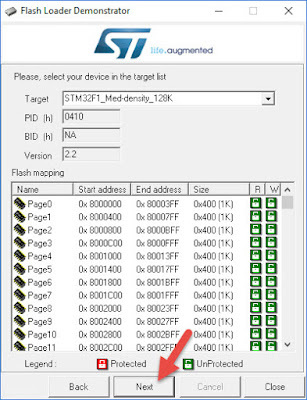 The STM32 Flasher Demo can be downloaded here. You will need to register to download. 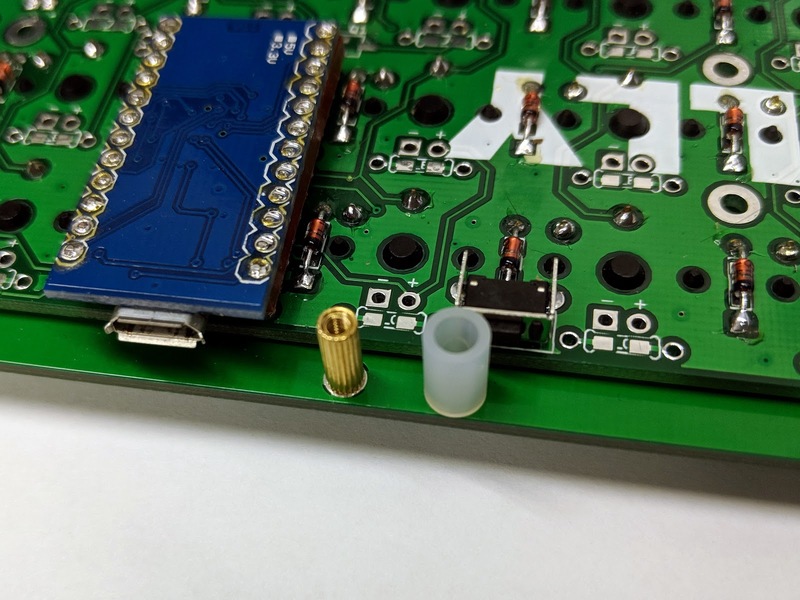 A 3.3v USB to TTL Serial adapter. Often called a FTDI cable. It must have 3.3V i/o. Most have an option for either 5v or 3.3v. 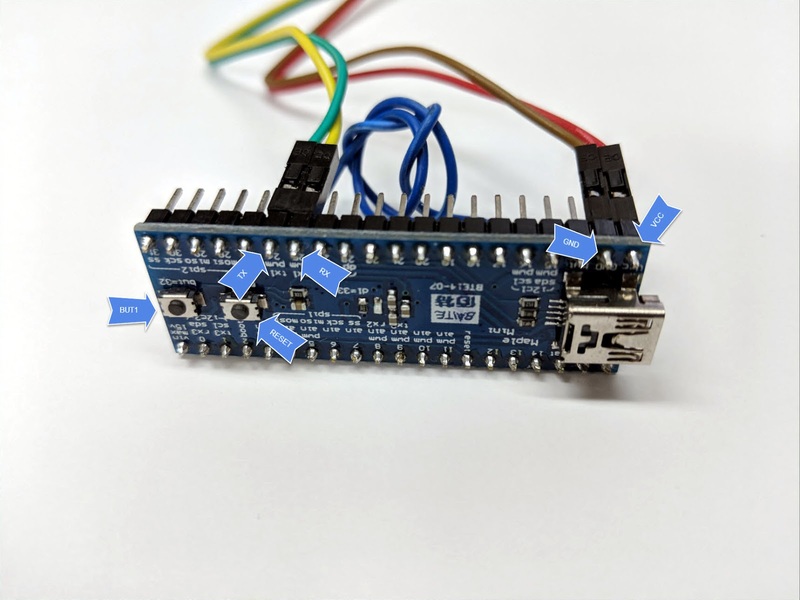 Install drivers for the USB serial adapter if necessary. 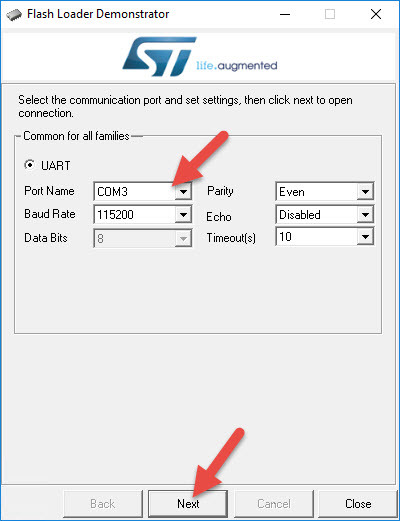 It should show up in Windows Device Manager as a COM port. 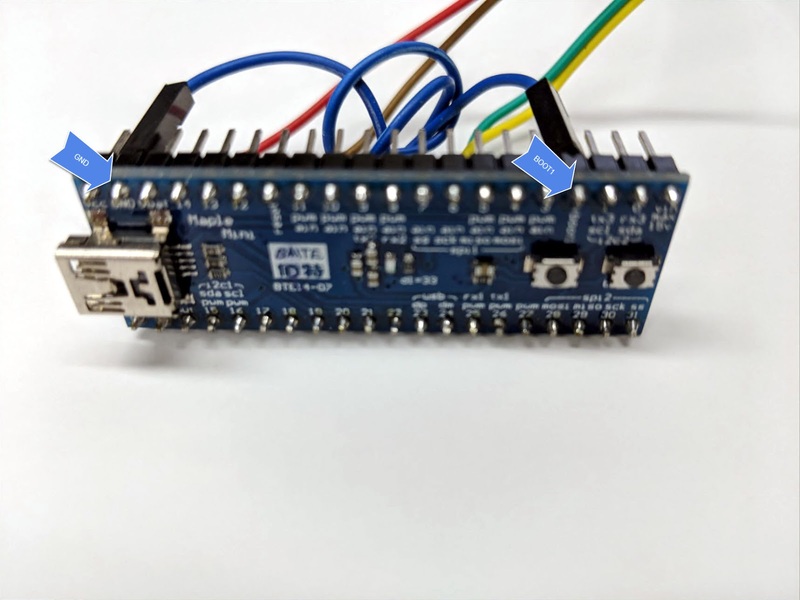 This USB Serial adapter has a jumper to switch between 5v and 3.3v output. You will need jumper wires to connect TX, RX, GND, and 3.3v. The connections on the Maple Mini. On the 5x5x9 these are broken out to a header. 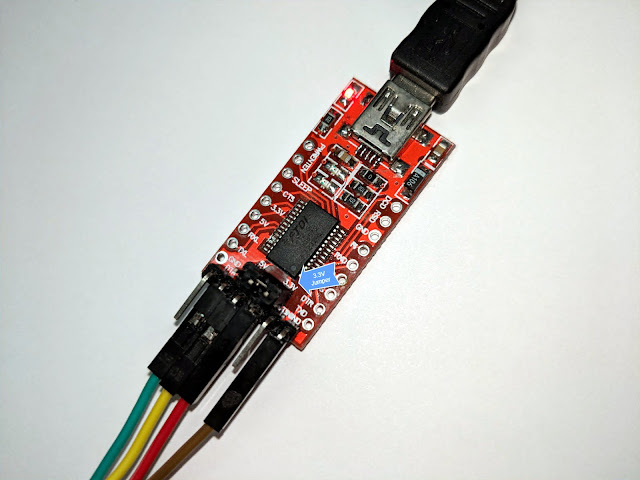 The BOOT1 pin needs to be connected to ground to run the Serial bootloader. On the 5x5x9 there is a switch that makes this connection. 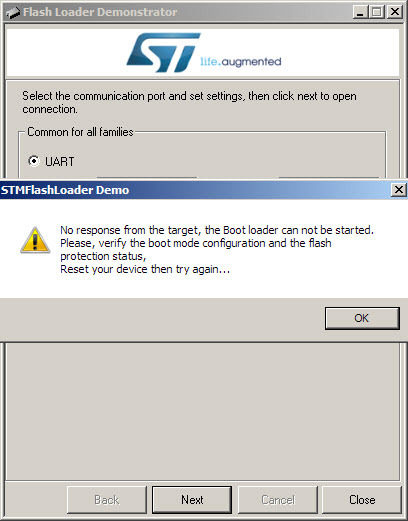 To enter the serial bootloader you hold down both BUT1 and RESET. Then while continuing to hold BUT1 you release RESET. Then release BUT1. It will now be in Serial bootloader mode. You can now run the STM32 Flasher (Demonstrator GUI). 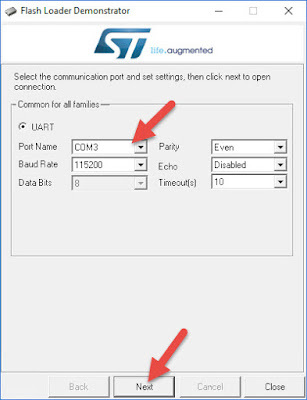 Pick the COM port of your USB Serial adapter. If you pick the wrong COM port or the Maple Mini is not in Serial bootloader, or the TX/RX pins are reversed you will get this error. Try again. The program is buggy and you may have to quit the program if you get this error. If it connects you will get this screen. Do not change anything on the next screen. 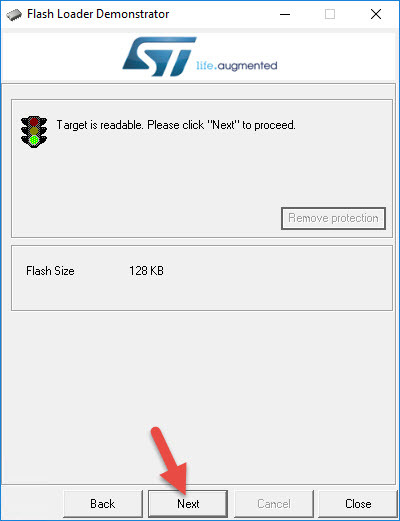 Click on "Download to device". Click on the file selector. 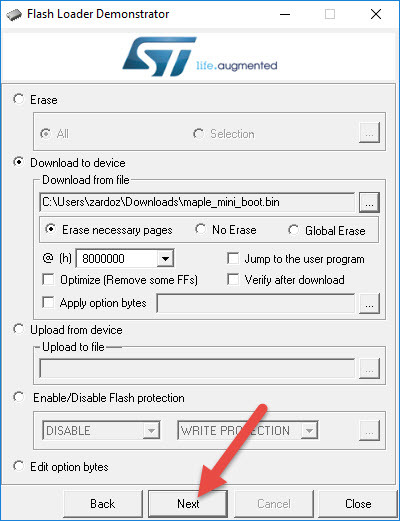 Change the file type to BIN and select the Maple Mini Bootloader file. 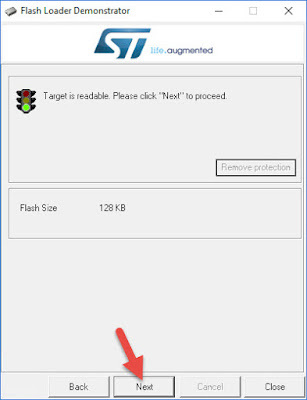 Click next to flash to bootloader. It should take only a few seconds. Click the file selector again. This time select HEX files and open the compiled TMK hex file. 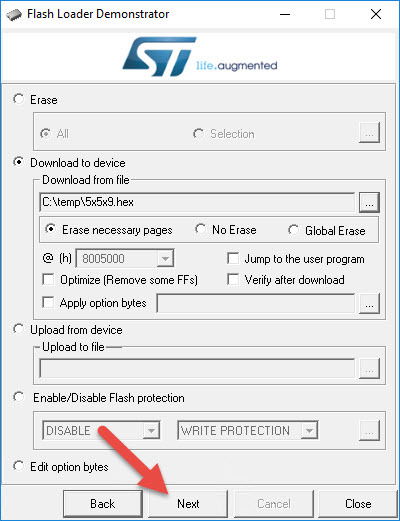 Click next to flash the firmware file. You can skip flashing the bootloader the next time. 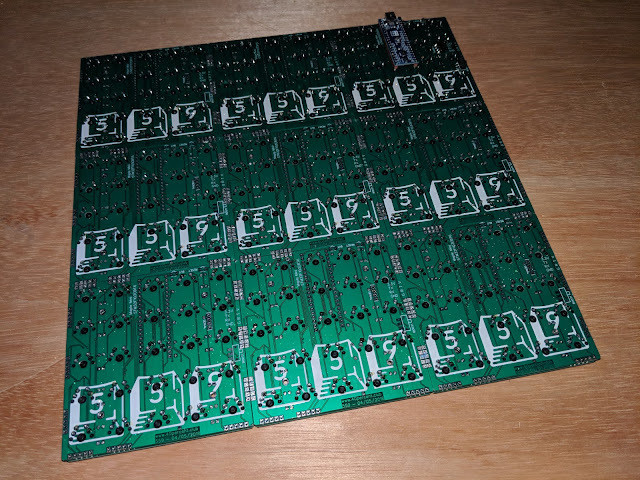 Made some PCB plates for the Gnapkin. Assembled with Kailh Burnt Orange switches. The top of the plate has as copper layer. 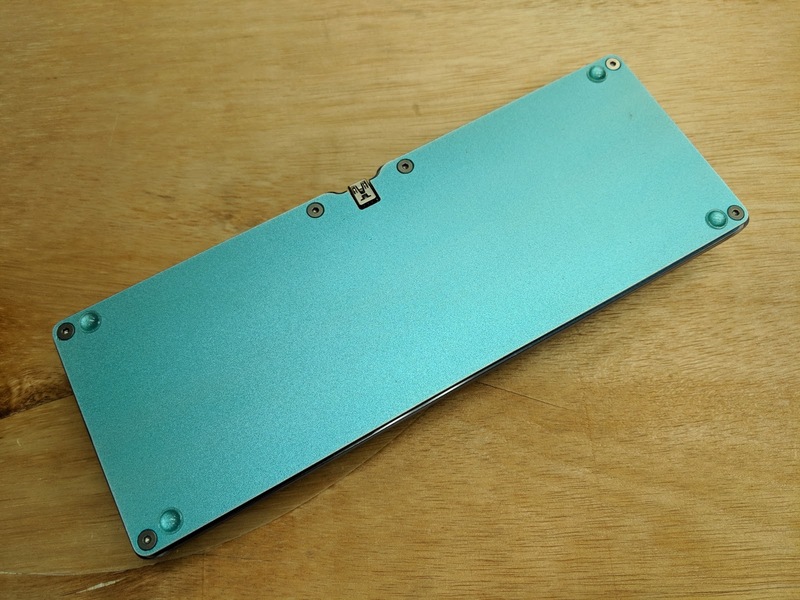 Bottom plate is plain and also has a copper layer under the soldermask. M2 spacers and screws hold the two plates together. Access to the USB port on the Pro Micro. I added blue LEDs under the switches. These are actually 3mm round flanged LEDs. They fit snugly in the bottom of the switches. This would interfere with a click bar if the switch had one. Next to a plateless Gnapkin. I usually compile my firmware in Linux. I use either Ubuntu in a virtual machine or Raspbian on a Raspberry Pi. They are both Debian based and the same procedure should work on either. Start with a fresh install of the OS. Then update the list of software packages. Update all the installed packages. This video goes through the process on Ubuntu 18.04 LTS server. 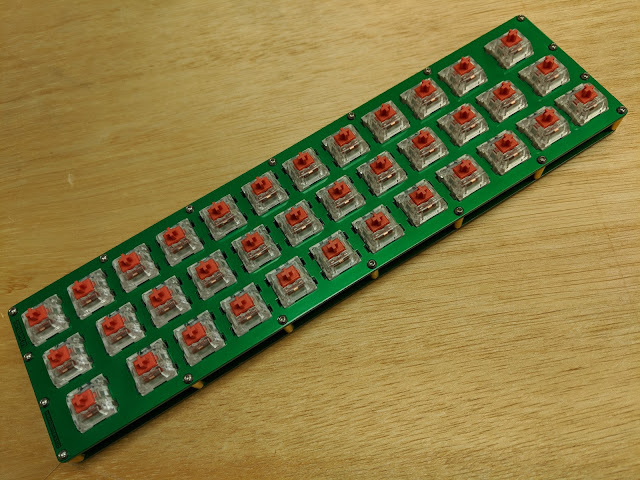 Red Gherkin plates and black PCB. 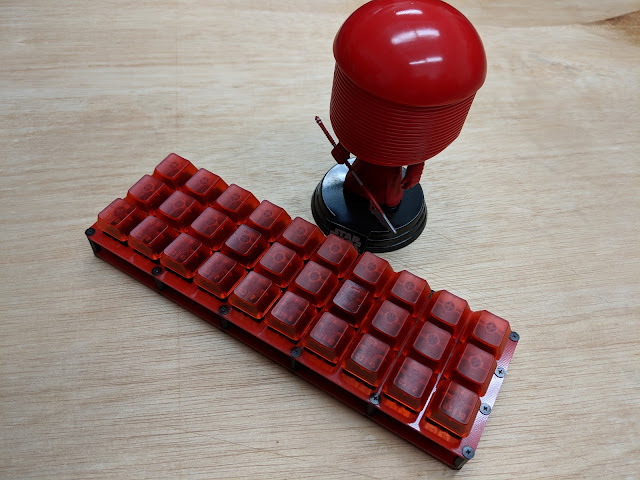 Cherry silent black switches. Black nylon M2 spacers. Oxide black screws. 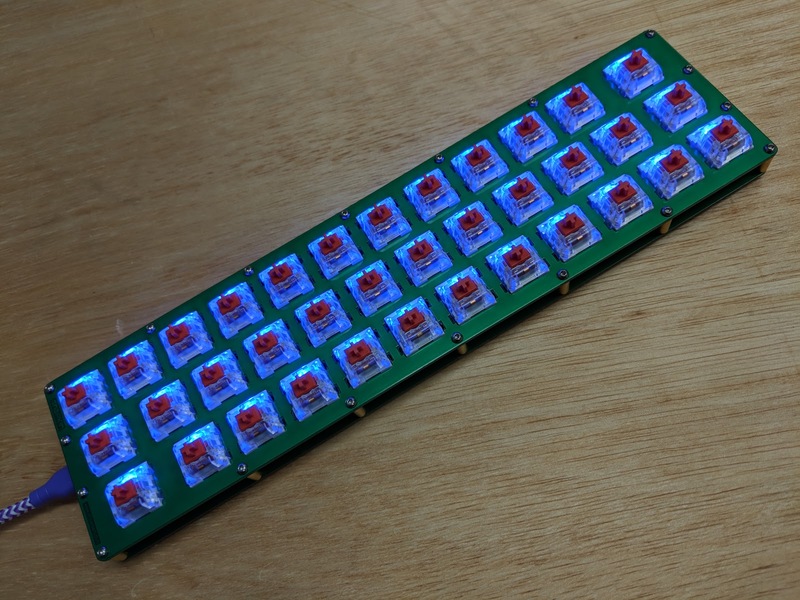 Cheap translucent blank red ABS keycaps from eBay. Non-threaded M3 nylon spacers have a 3.2 mm inner diameter (ID) that fits over the cheap brass M2 threaded spacers. They come in two outer diameters (OD), 5mm and 7mm. The 7mm ones are most common but are probably too large for most uses. The 5mm OD ones are perfect for hiding the skinny brass spacers. They are sold on eBay and Aliexpress. They come in all the same lengths as the brass spacers. Amazon has some but they are in kits of mixed sizes, many too short or too long to be useful. Since they are made of nylon they should dye very well. These are much sturdier than regular all nylon threaded spacers, when combined with a brass spacer. You can tighten them much more as the brass spacer's threads won't easily strip. 5mm OD M3 nylon spacer next to a M2 threaded brass spacer. M3 spacer on top of the M2 spacer. It fits well but is not snug. It will fall off if you flip the board over while assembling. Installed and screwed in place. The raw nylon is translucent. Could dye them black or some other dark color. I have seen ones that are white nylon (more opaque) and some in black nylon. 8mm long 5mm OD spacers on a Dilly with plates. 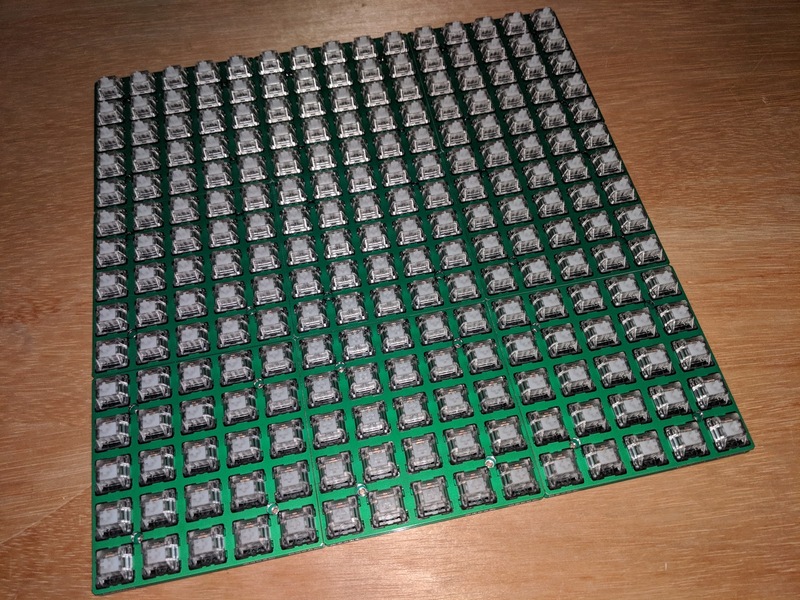 Up to 9 of the 5x5x9 boards can be connected together to create a 15x15 matrix with 225 key positions. The board is constructed in a similar way to the 5x5 board, except it also has connections vertically, allowing for three rows of boards, three columns wide. Each individual board is 95.25mm square. 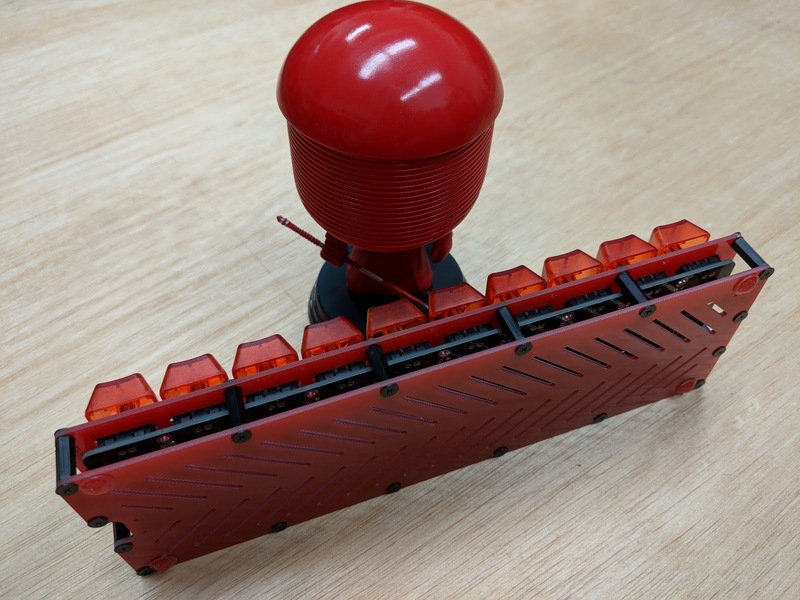 A Maple Mini clone was used as the controller. 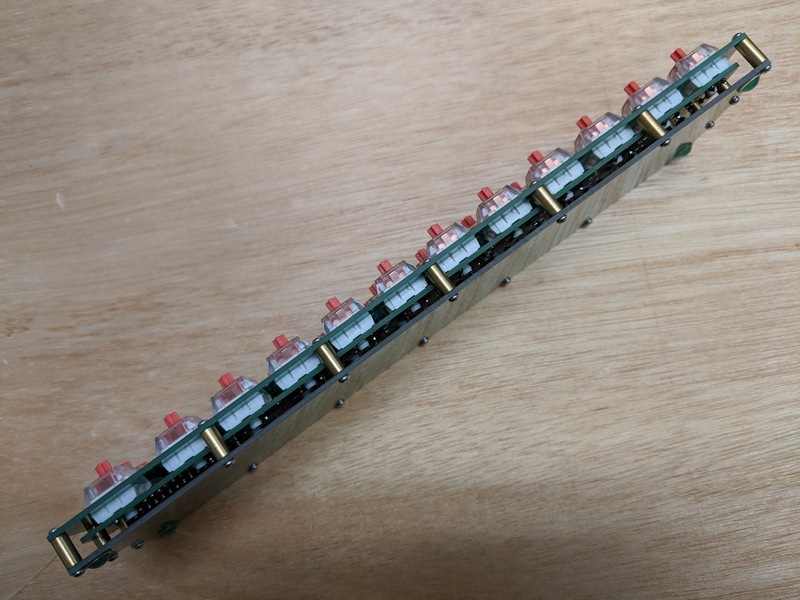 It has 34 IO pins. 2 of these pins are actually the USB port data pins. So if you want USB there are only 32 pins left. 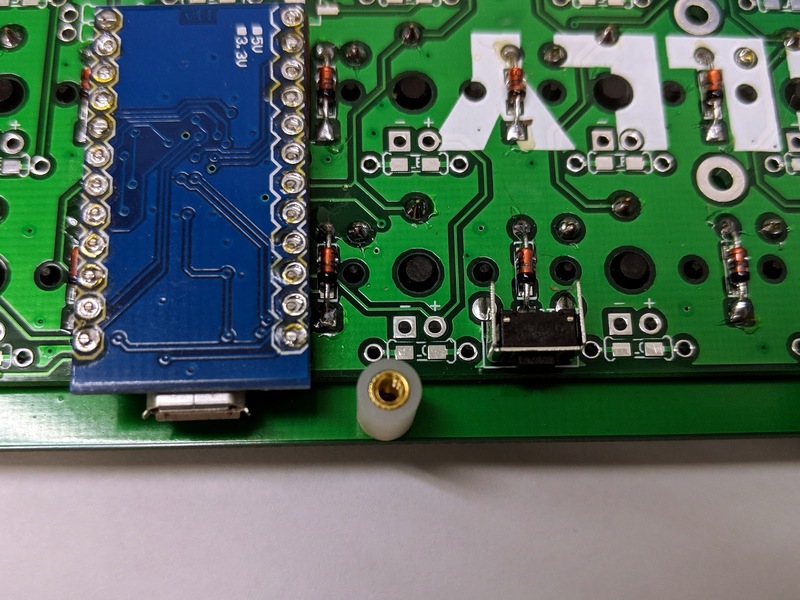 One of these pins is connected to an LED on the top of the Maple Mini, and has no physical pin to solder to. 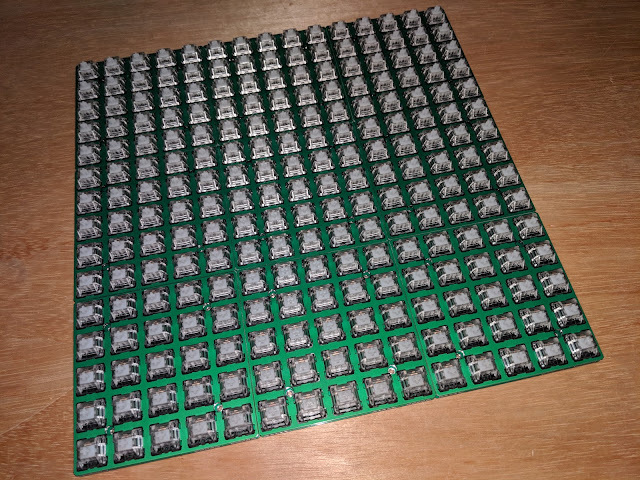 This leaves 31 actual usable pins. 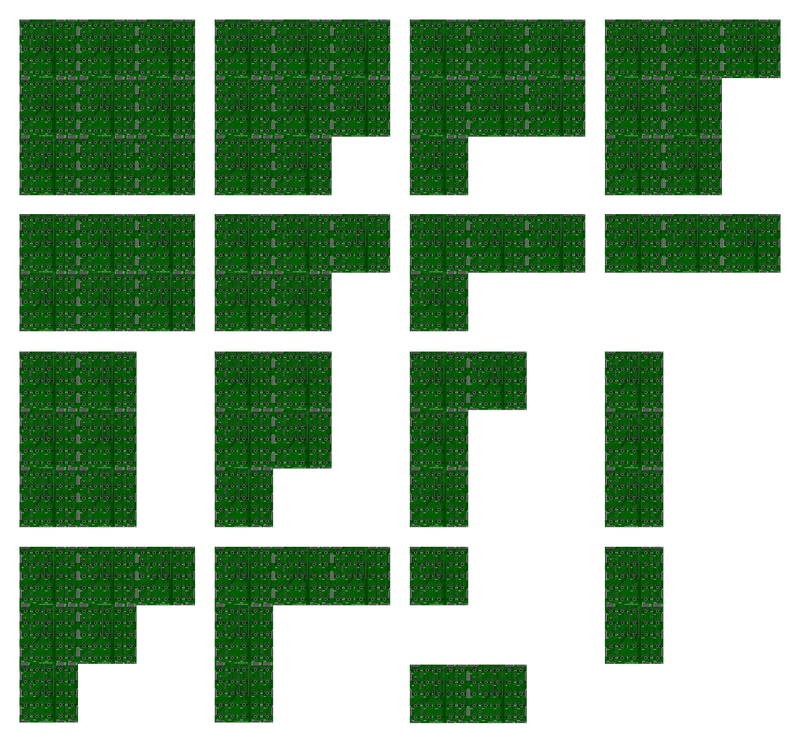 This is enough for the 15x15 grid. The onboard LED is used as a capslock indicator. Maple Mini clones can be found on eBay or Aliexpress for around $4. As cheap as a Pro Micro clone. You will probably find 2 different boards being called Maple Mini, you want the one that looks like the one pictured. The other board has a similar chip but has a different pinout and less flash memory. It is often called the "Blue Pill". 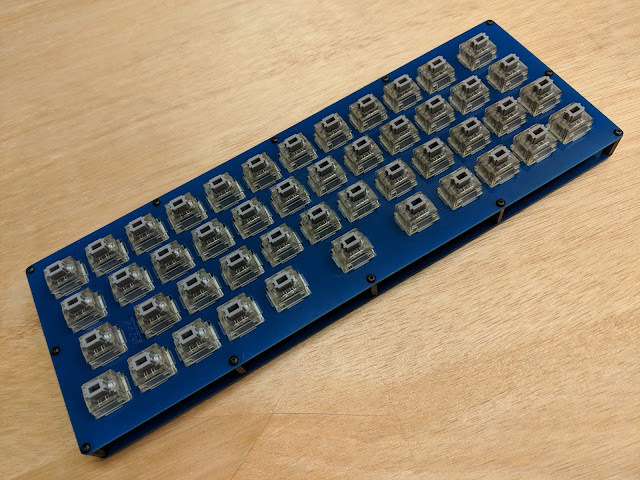 You do not want the Blue Pill, although it works with TMK it will not work on this board. The chip on the Maple Mini is supported in TMK using the Chibios library. Be sure to clone a stable branch of the library. The firmware is on github. The keymap is the same as I use on my i75, repeated 3 times. The assembled 225 key board. A PCB top plate has been used. The Gerber files are on github. 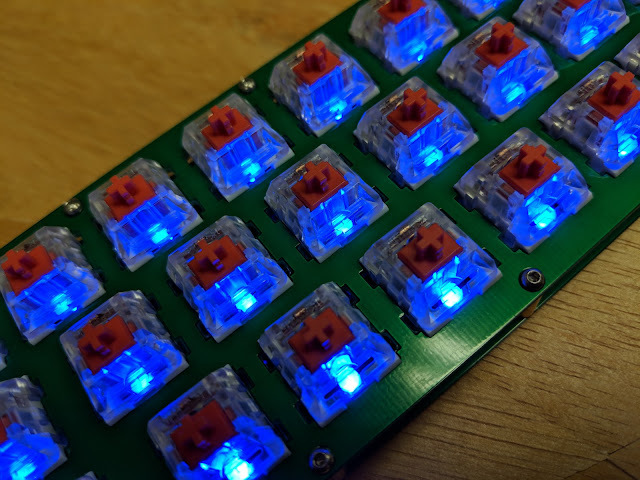 The bottom of the assembled board. The routing of the board edges is not perfect and they do not align perfectly. 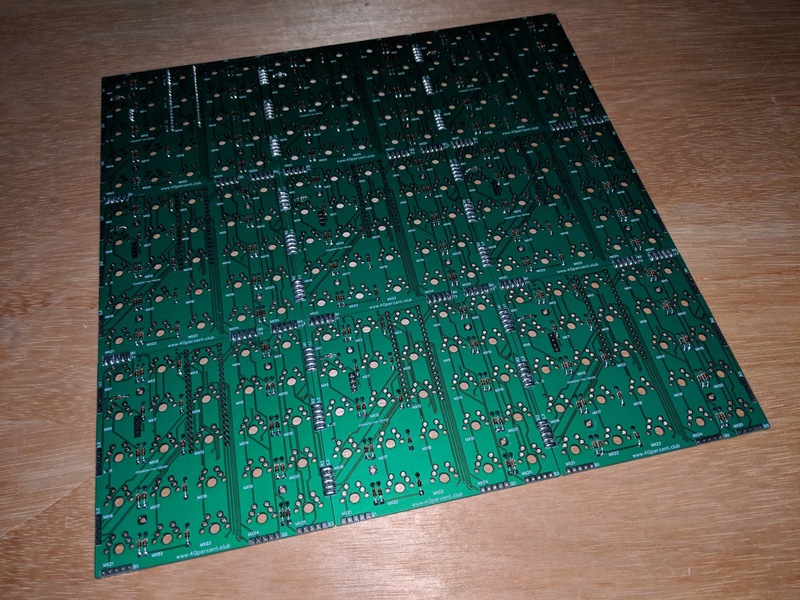 Getting the 9 PCBs aligned and soldered as straight as possible was very time consuming. You need a large flat workspace. The Maple Mini clone and the BUT1 and RESET buttons on the right. The Serial programming header and the BOOT1 switch on the left. I chose these switches because they are available from LCSC.com and you can get free shipping when combined with a PCB order from JLCPCB.com. To boot into the serial bootloader BOOT1 has to be held low. The switch connects it to ground. 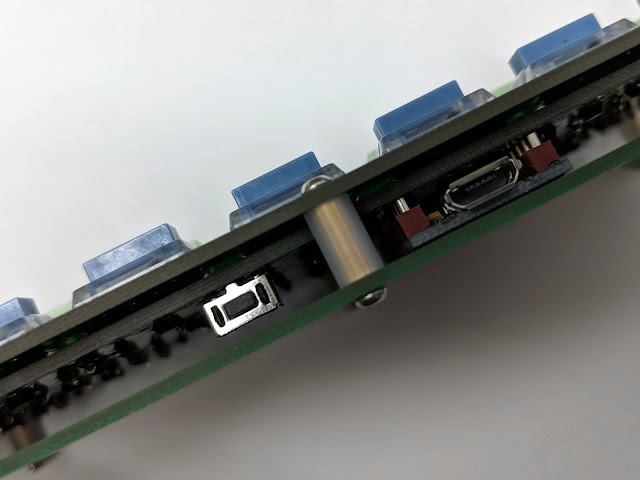 In normal use the switch in the other position disconnects it from ground and that pin is used as a part of the switch matrix. 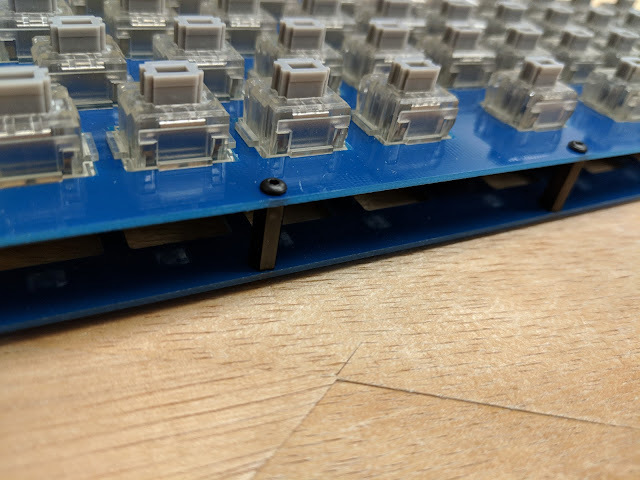 The BUT1 and RESET switches have the same function as the switches on the top of the Maple Mini. 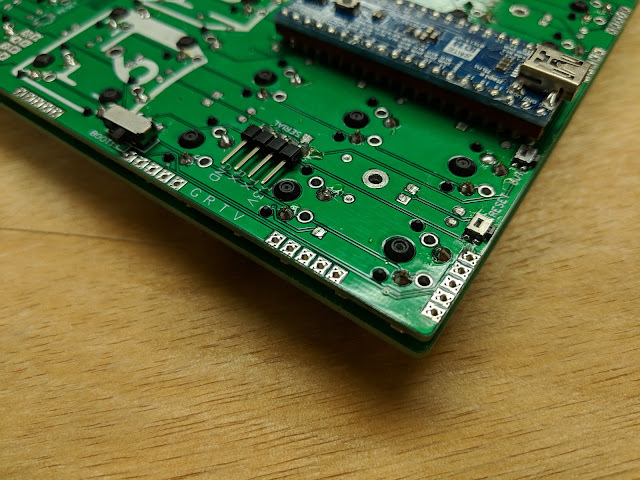 I added them to make it easier to enter the bootloader with the board mounted to a plate. Connect a 3.3v TTL serial adapter to the serial header. It must be 3.3v and not 5v. 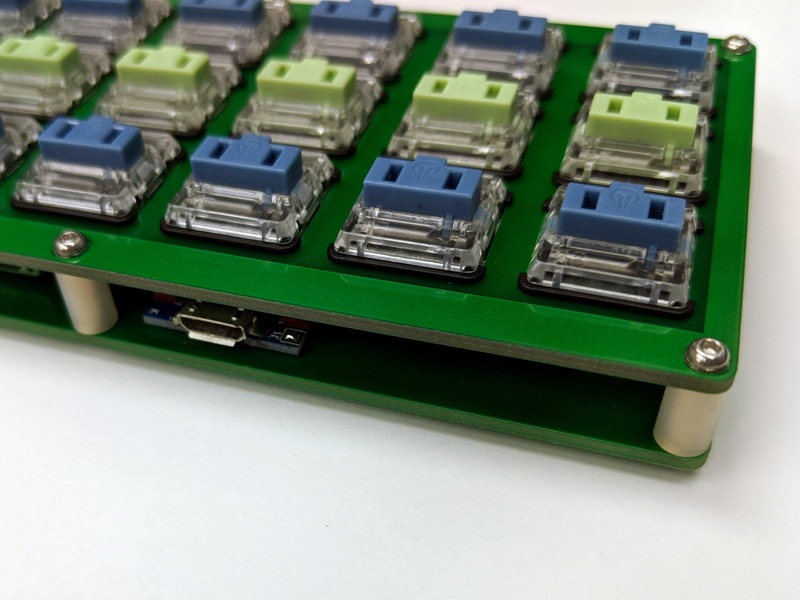 The Maple Mini will be powered through the Serial adapter. Switch BOOT1 switch to programming position, (to the left in this picture). Press both RESET and BUT1, you can use the buttons on the Maple Mini or the ones on the board. While continuing to hold BUT1, release RESET. It should now be in serial bootloader. 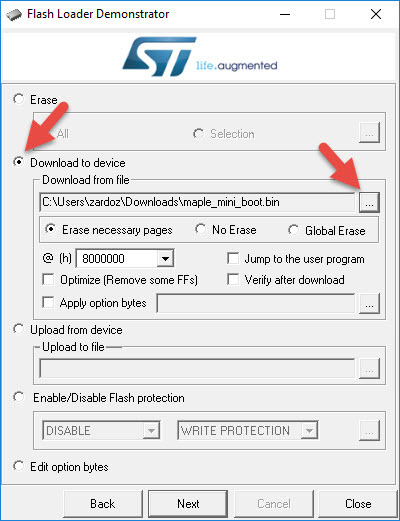 Scroll to the Setup section Step 1 and download the Maple Mini bootloader. I flashed the bootloader and then the compiled firmware, no need to reset in between. You will have to change the file type to BIN for the bootloader and then to HEX for the compiled TMK firmware. I was hoping to omit the USB bootloader since it takes up flash space (the serial bootloader is hard coded and permanent). But the firmware would not run without the bootloader. It should be possible, I have not spent the time to figure out what needs to be changed in the firmware code to make it work that way. Be sure to return BOOT1 switch to the normal position before plugging in the Maple Mini USB. Otherwise you will have stuck key presses. I posted step by step flashing instructions here. 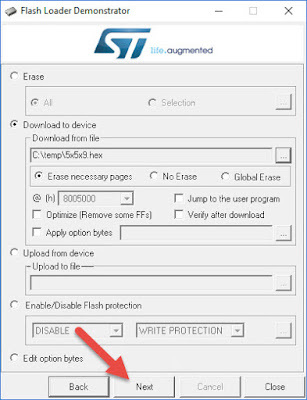 There are multiple ways to flash from the command line using many different methods. I have not tried any of these. 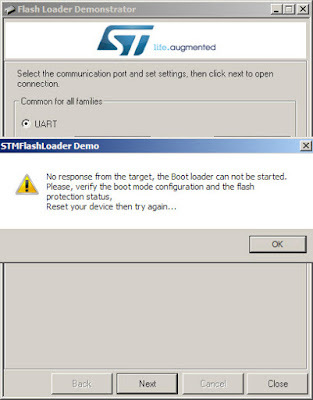 The Flash-STM32 download also comes with the source code if you want to develop your own method of flashing. 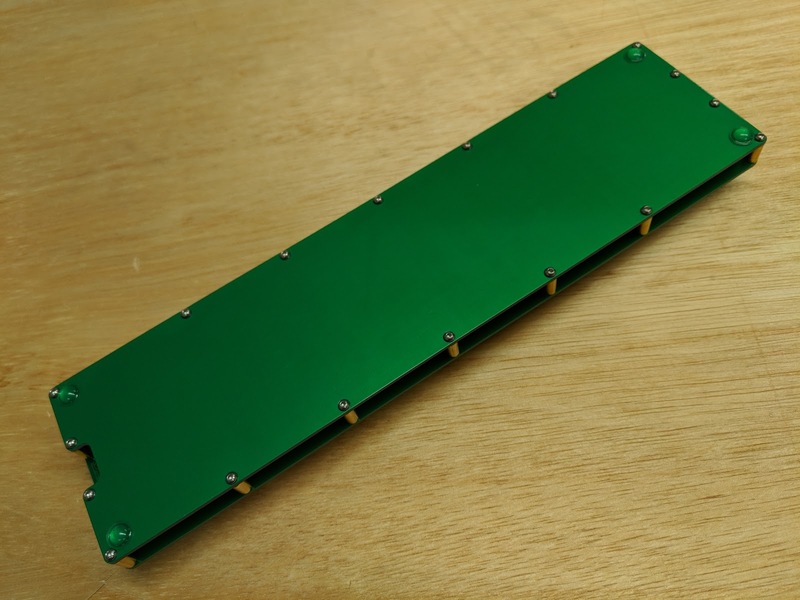 This was the first version of the board. The BUT1 button was incorrectly connected, Otherwise it works fine. 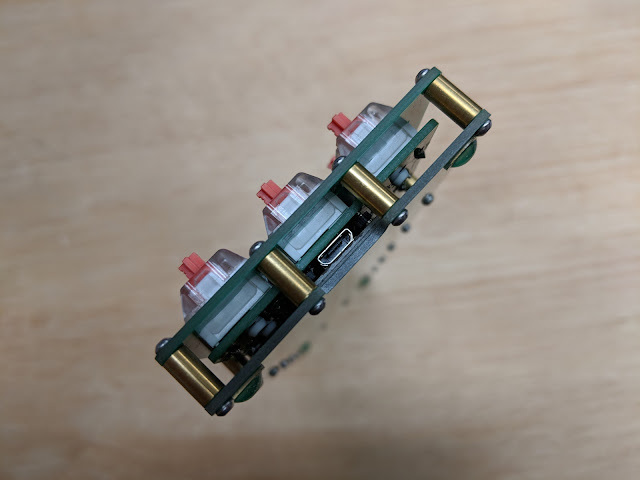 You can see all the solder bridges that hold the boards together and connect the matrix circuits. 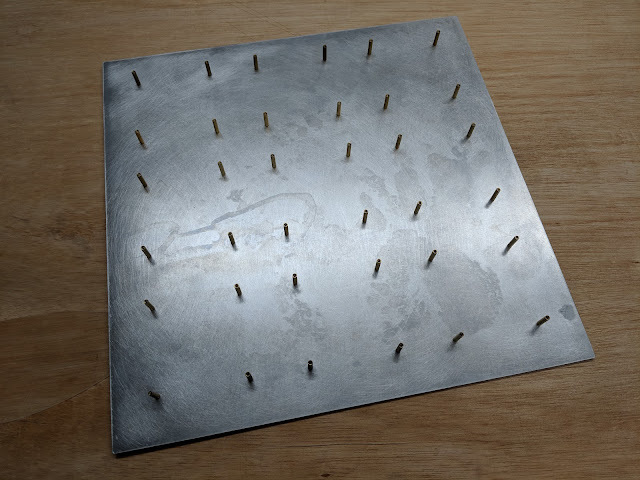 The base is a simple 12x12" 5052 aluminum plate with holes drilled for the M2 spacers. 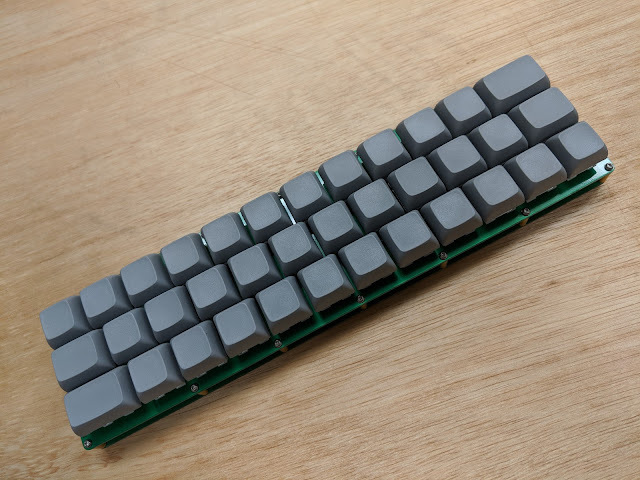 It is slightly oversize as the assembled board itself is 11.25" square. 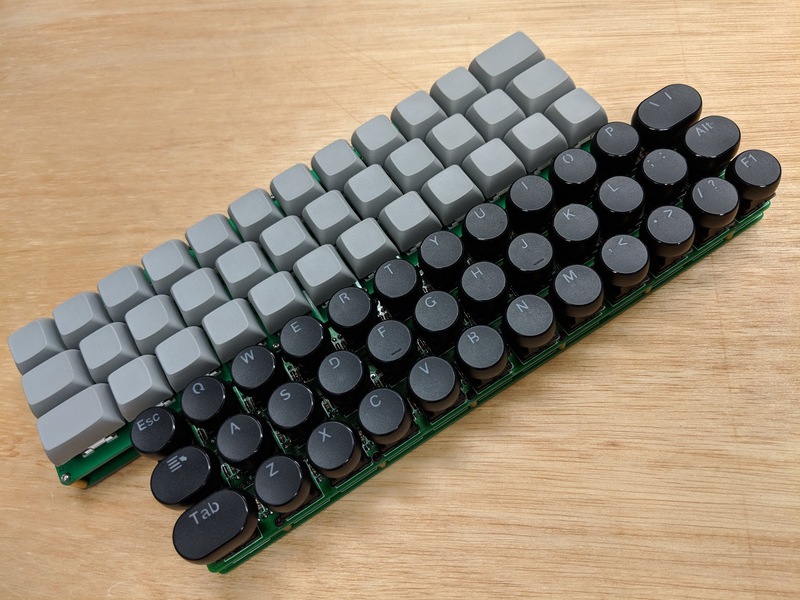 Some of the theoretically possible ways the boards can be connected together and the matrix still work. The Maple Mini has to be in the top left position in all cases.